Eye on FDO | Foundation Directory Online Eye on FDO: What About All Those Foundations That Don't Accept Applications? What About All Those Foundations That Don't Accept Applications? This is a lightly edited re-post of a post from last year. The question of how to attract the attention of foundations that give only to preselected organizations (by some estimates, this is as many as 60 percent of all foundations) is a vexing one, and one that we hear frequently from our FDO users, library visitors, and other constituents. 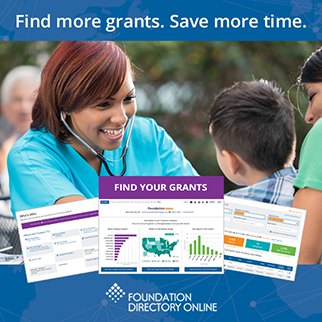 Personally, I hear from many FDO users who simply click the "Exclude grantmakers not accepting applications" checkbox on their searches and never see other prospects. It's an understandable choice - why sift through record after record of funders who are indicating that they don't want to hear from you? - but it can limit your possibilities. Plenty of respected foundations with solid track records of excellent grantmaking have decided to close the door on unsolicited proposals, too. [...] These are respected, admired foundations, all making it clear that without an invitation, you shouldn’t come knocking. It’s as if being able to submit unsolicited proposals or LOIs has become a quaint, nostalgic practice of a bygone era. His suggestions on increasing visibility, building relationships, researching board and staff names, sending other information besides proposals, and working for change in philanthropy can be read in more detail in the full post. For my part, when it comes to searching FDO I'd say by all means, click that checkbox to save yourself time and effort, but when you can, try your search without it and see what other potential prospects might make your "parking lot" list - the ones you can devote some time (I know, I know: what time?) to researching further to find professional connections or other ways of getting noticed. And for more tips, please visit our Grantspace Knowledge Base article on approaching these funders.